2017 is over, and last year, our organization experienced more growth than we’ve ever had in our almost 50 years of existence. The extension of our Food Pantry; the Hunger Prevention Center, steadily developed. Our satellite office in Manassas opened, which hosts all of ACTS’ services. Our Board of Directors grew, and their leadership and backgrounds have brought in so many positive changes. Our annual events like IWALK, Operation Turkey, and the Volunteer Appreciation Dinner were some of the biggest and most attended we’ve had in our history. And Comcast Cares Day, which was the result of both Leadership Prince William and the hard work from the volunteers who were here that day, helped to create the environment that we want to instill upon the clients who need our services; that of warmth and compassion. In short, when future generations of ACTS volunteers and staff look back on our history, 2017 will be remembered fondly. If you would like to see the impact that you helped us make this year, I strongly encourage you to view our newly-released annual report. Above all, this report is dedicated to you; donors, volunteers, and staff alike. We would not have been able to grow without your support of our mission. While the future is always uncertain, our neighbors in Prince William County need us now more than ever, and your help is more valued than you will ever know. 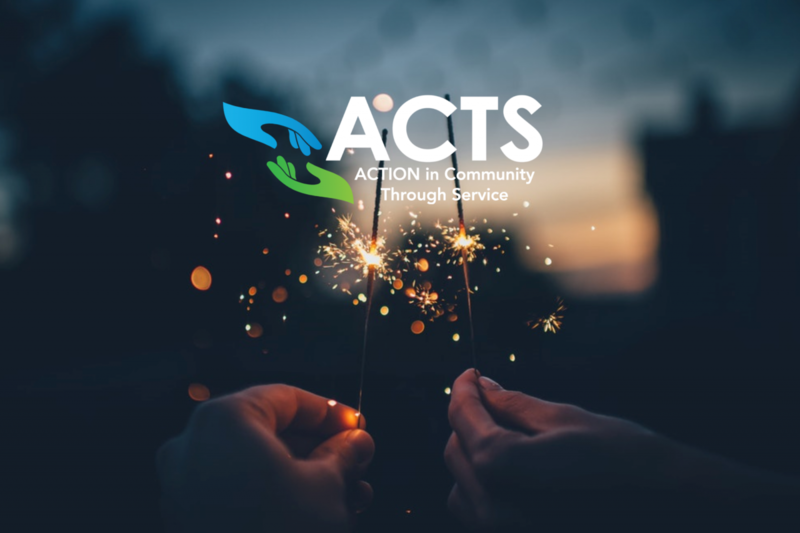 My goal is that ACTS has been able to give you something in return; a slight reprieve from the worry you may carry for your neighbors in need. Trust me when I say that every one of our staff members and volunteers do their utmost every day to inspire hope for those who have so little of it. While we still have more to do, the money you contribute to us ensures that this worry can be eased. The hours that you volunteer with us show our neighbors that there are still people in the world who care about them. And the donations you provide keep our neighbors fed, clothed, and provided for. They say it takes a village to raise a child; it’s taken an entire community to help ACTS grow, but indeed, we have grown. Thank you for caring. Thank you for your compassion. Thank you for making 2017 a success for us and our clients.